"The people at Coed y Foel Ichaf (M/M Thomas descend from the Foulkes." Frongoch-L Mailing List, 13 May 2000, Subject: FRONGOCH News! Acc001151. 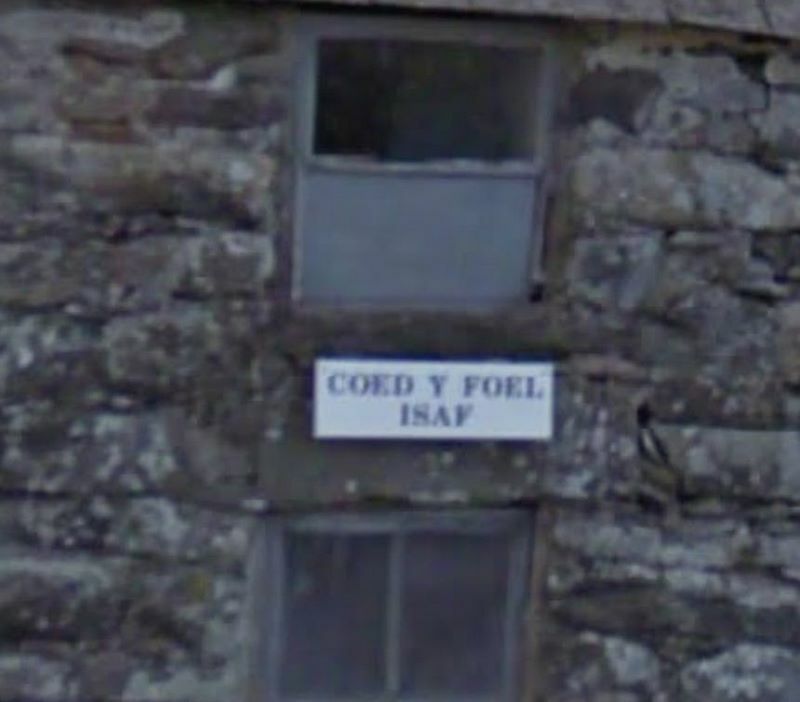 As for the Coed-y-foel of our ancestors, they came from Coed-y-foel Isaf. 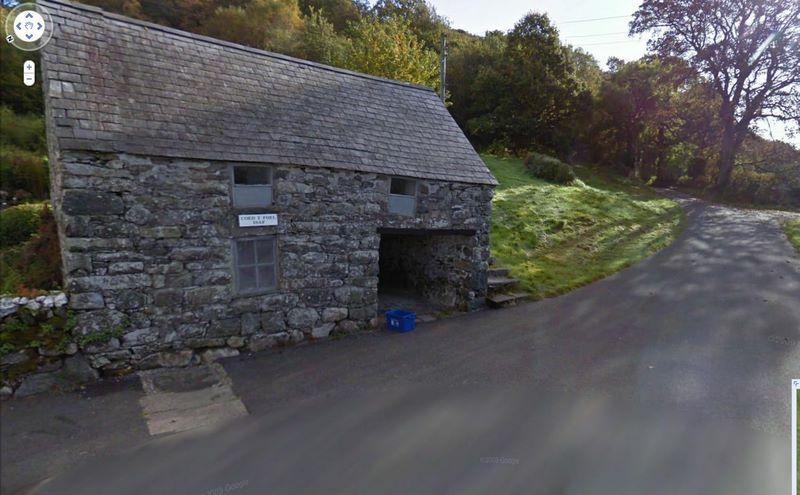 My father (Raymond H. Foulke) and I visited the area in August of 1997 and stayed with the Davis family at Fern Frongoch - just down the road a piece from Coed-y-Foel. We had a heck of time finding it (Coed-y-Foel), because everyone kept telling us to turn right at the statue - and there was no statue. They all forgot that to keep it from harm, it had been removed during the Eisteddfod, which, incidentally was held in the fields just below Coed-y-Foel on the Price's land while we were visiting. [FronGoch-Wales-L RootsWeb mailing list - 6 Dec 1999 - Subject: Foulke>Evan Welsh & American Connection]. Acc001150, page 11. 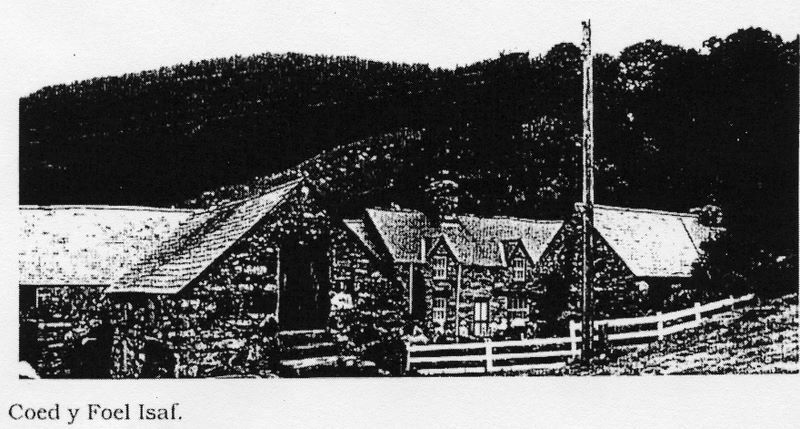 "We spoke to Mr Robin Price about his grandfather, R J Lloyd Price, and with Tom and Morfudd Roberts, Coed y Foel, about the history surrounding the Ffowc family." Natural woodland now owned by the Woodland Trust and open for public access. the parish of Llandderfel, to which it still pays tithes, but mostly in the township of Ucheldre, in the parish of Llanfor, Merionethshire. 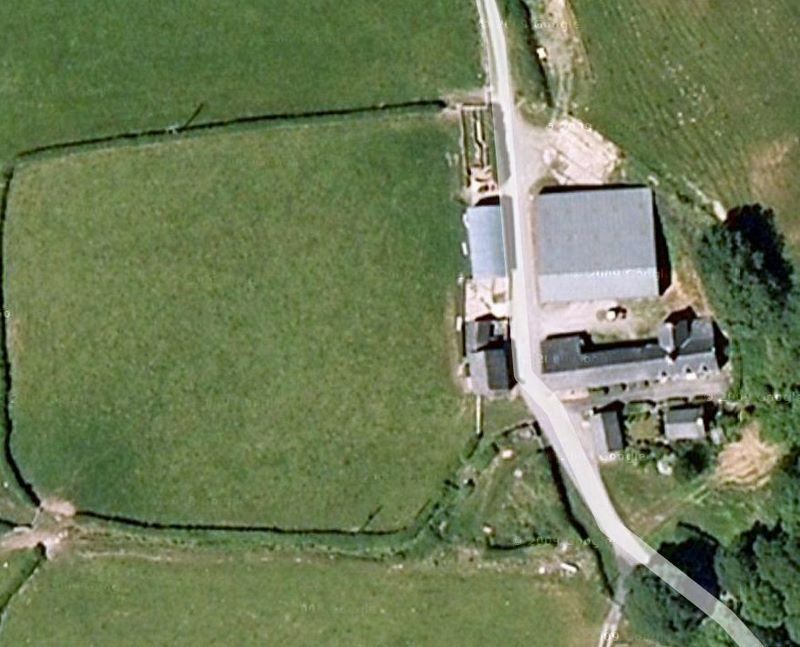 It was formerly of much greater extent than at the present time, several parcels of land having been cut out of it, and appears to have extended into the township of Cynlas, formerly part of Llandderfel, but now locally in Llanfor. The principal residence was in Llanfor, near the present Fron Goch Station, but there were other tenements, some of them on detached parcels, belonging to Fron Goch. 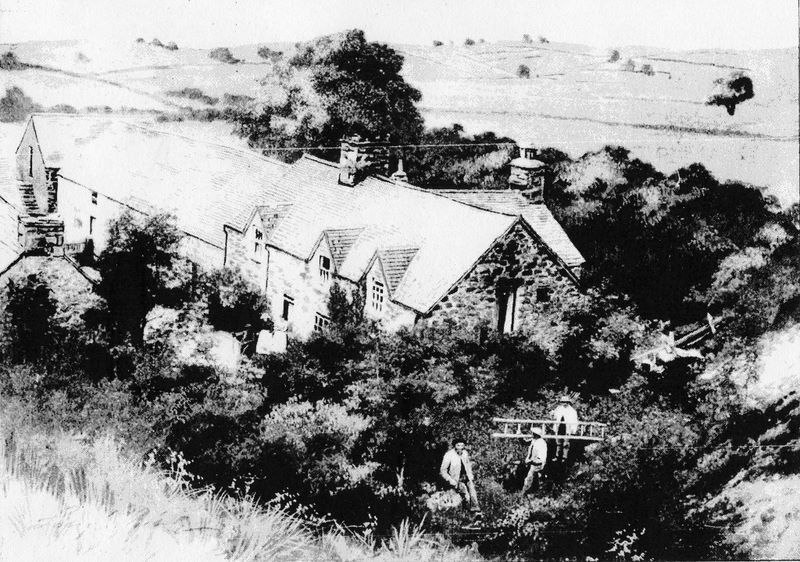 The tenants have of late times always baptized and buried at Llanfor church, but in earlier days they occasionally buried at Llandderfel, especially if residing at the time in any of those tenements belonging to Fron Goch which lay within the latter parish. There is evidence to show that Fron Goch was sometimes considered to be a township of itself." 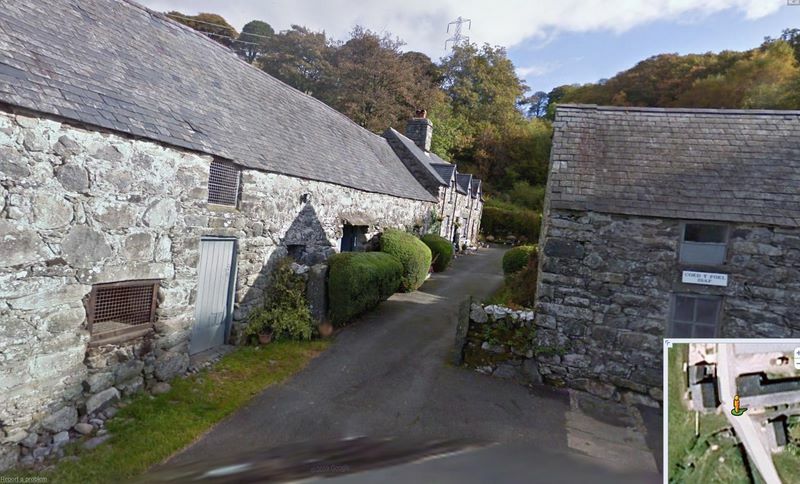 Frongoch, Wales is about 3 miles from Bala, Merionethshire in Northern Wales. 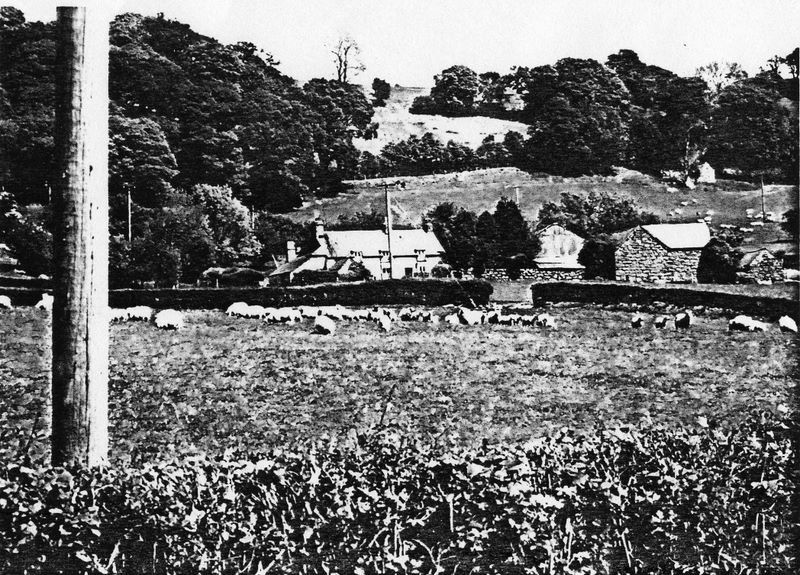 The town of Frongoch derived its name from a 14th Century farm by the same name. Over the years, various spellings have been used, including: Fron Goch, Frongoch, Fron-goch and Vron Goch. S1 "Picture taken by and map furnished by Donald Foulke, Jr., son of Donald Foulke, Sr., son of Herbert Foulke, son of Alvin Foulke, son of George Foulke. Donald, Jr visited there, I understand, earlier this year, 1997."